The exhibition centered around the theme of memory opened on Wednesday at the SHOWstudio space on Motcomb Street. #smellslikememories explores the pivotal role of scent in triggering reminiscence and features Margiela’s Replica range of fragrances. As part of the exhibition, a collection of artists and fashion illustrators including Richard Gray, Claire Barrow, Tobie Giddio and Valerie Servai have been asked to create an original drawing that depicts a personal memory prompted by one of the Replica perfumes.These drawings will then be displayed in custom made white boxes only to be revealed when visitors peer inside, or interact with the exhibition online. Margiela will also be displaying a selection of haute couture pieces and objects from Line 13 associated with the concept of memory. 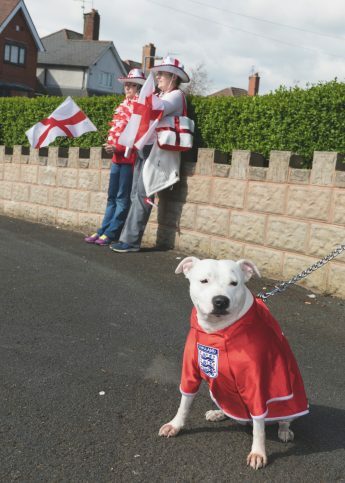 Just in time for Brexit, there's a new Martin Parr exhibition at the National Portrait Gallery.